Reconnect at Surprise Lake Camp. 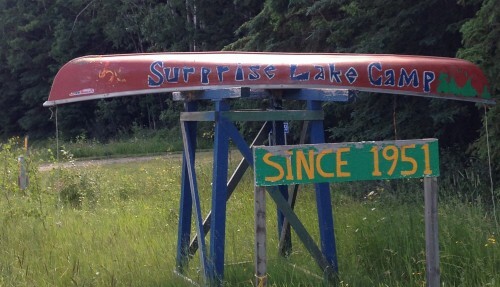 Surprise Lake Camp is an environmentally-friendly community hall-type venue set in a semi-wilderness setting. It is available for rental by groups interested in facilitating workshops, retreats, club meetings, or for family gatherings. Operating the camp as a rental facility. Organizations including service groups schools, scouts, cadets, musical and artistic groups can facilitate their own activities in a beautiful and natural setting. Collaborating with community groups in the ongoing operation and maintenance of Surprise Lake Camp. Promoting the value and importance of education and stewardship of our environment. Giving the community the opportunity to “reconnect naturally” with themselves and with others in a beautiful and natural setting.